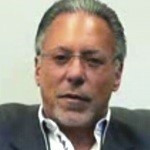 My name is Jay Abraham; I am the president of the Abraham group. We’re in Torrance, California. But I am probably known better not for my business but for my work, by the way I teach people, how to operate their businesses at the highest strata of integrity and ethos. I stand for ethics, integrity and highest and best conduct and respectful conduct to your clientele. When I put my reputation and my integrity and my international track record on the line to tell you that you should be using NorthStar Moving, it should tell you, we are exhilarated, with the treatment we got. We are monumentally impressed with their professionalism and their people and staff are exquisite, you will be very very gratified that you chose them. I had the good fortune in my career to experience world class people, average people, mediocre people and out right poor performing people. I am sitting in front of a camera today to urge you if you have a move coming up to deal with only extraordinary people and there is an extraordinary organization that we used for our move to our office and they are outright exceptional, in fact, exceptional is probably an understatement and I am very loath to overstate anything. It’s NorthStar Moving, they are based in the northern part of Los Angeles, they serve a board base of clientele, they are exceptional in literally everything they do, except they are not exceptionally high priced. It’s rather remarkable that they can be world class in their service, world class in their attention to detail, world class in their understanding of what it is like to be in a position of moving, whether you are moving up or down, moving sideways, moving out of the area, and they have empathy, they have professionalism in a level that I don’t think I have ever seen before and they have the ability to make your move as painless, as problem free and as pleasant, and positive as is humanely possible. More importantly, the people behind it are extraordinary in their commitment to really make the experience something very very positively memorable. They dedicate enormous amount of staff, enormous amount of support, enormous amount of pre moving involvement, making certain that the transition you make from house to a house, from a house to an apartment, from an apartment to a house, a house to another part of the country, is the least traumatic and the least stressful it can be. Something that really impresses me about them and it should impress you too is that your peers, other men and woman, in similar situation, who have moved, from all over Los Angeles and have checked out the entire scope of options, alternatives and providers have nominated them as the ultimate, they won more awards, more distinctions, and to peer to peer, judgment which is Yelp, they are runaway, the highest rated, probably more genuine testimonials, more video endorsement, more lavish praise for everything except their prices because their prices are omni competitive. They’re not the premium price provider, but they are the premium provider, in what you want. Attention, concern, support, respect for you, your situation, your furniture, your attitude, your children, your dogs, they have service providers that can take care, everything- they even have dog taken care of, children taken care of, dinner ready, refrigerator restocked, they are rather incredible people. If you don’t seriously, not just check them out, but talk to people who used them, you will be very very sorry, you’ll be sorry because a lot of moves can be traumatic, a lot of moves can be very frustrating, a lot of movers don’t do what they say, come when they say, respect you or your property like they say and the end result is a trauma that lives with you for a long time. I rarely do any kind of testimonial endorsement for anybody, not paid to do this. The only motivation behind me doing this is the urge to help make certain that you make the right decision for yourself, your family, your furniture, your future and your physiological well being. I couldn’t encourage you enough to favor NorthStar Moving with your move. It will be the wisest decision you make in beginning with the new phase of your life. Whether it is here, whether it is out of town, they are exceptional, they are someone that you can absolutely trust. What they say they do. Their reputation is unimpeachable and they are people that you will be very very very comfortable having entrusted your move to. It’s about all I can say, except, honestly talk to them, invite them to come out and look at your situation, talk to people who have already been blessed to chose them, don’t make a decision, based on saving a few dollars, don’t make a decision based on spending a lot more money. Make the decision on the criteria that is the wisest, basic purpose of choice: what other like minded people, large and small, moving up or down on the continuum have had to say they are not lying , they are not gaming the system, you can’t game the system when you have four or five hundred video testimonials, you can’t game the system when you have dozens and dozens of awards. You can’t game the system when the most discriminating and publicly exposed organization use you as their designated mover. You should use them too. Thank you.